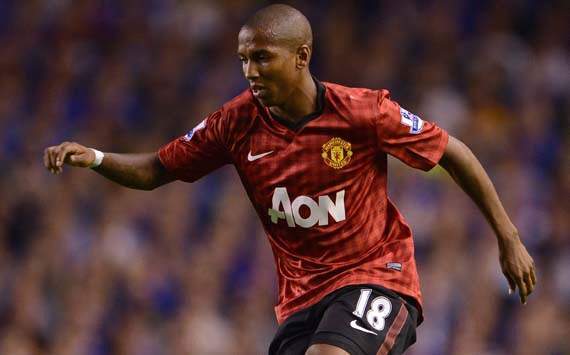 Manchester United manager Sir Alex Ferguson said that Ashley Young is fit again, while another ailing Red Devil, Chris Smalling, is still in the process of making his comeback. Young has been out of action with a knee injury that he suffered in September but is now ready to be considered for a first team place against Stoke City, a selection problem that Ferguson is more than happy to have. He has played just 80 minutes all season across all competitions. "Very few players can cross as well as he can, and his goalscoring ratio is very good," Ferguson told reporters. The 70-year-old will also be happy with Smalling's progress as he recovers from a broken metatarsal he suffered in the summer. The England defender will bring greatly needed numbers into a thin Manchester United defense that has had to call upon the young and untested Scott Wootton at times during the opening months of the campaign. More good news that the United manager revealed is that all players came back from international duty unscathed, as it is "always a time when you're a bit concerned, but we've been lucky this time," according to the long-time manager.